Her voice was shaky, hoarse. I could tell she had been crying, even from the other side of the world. I pressed the phone tightly to my ear. 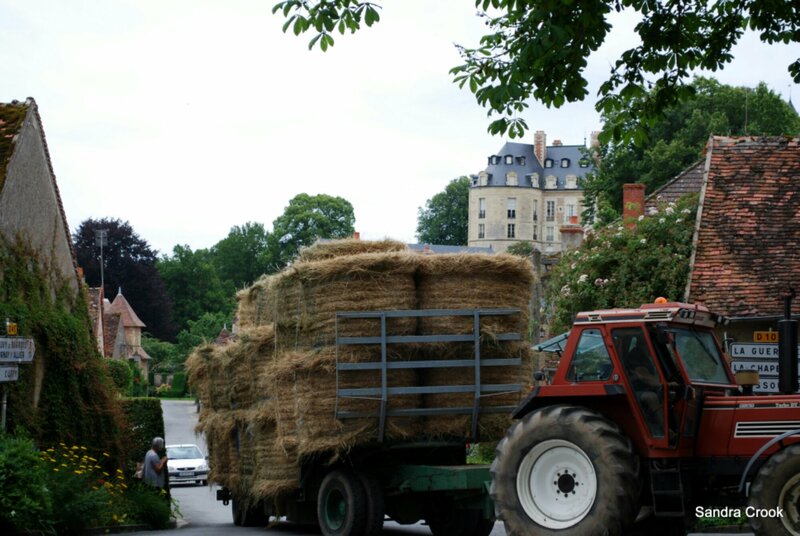 A tractor passed laboriously through town, right in front of my eyes. Its diesel engine choked and grumbled as it pushed the rusty machine over the cobblestones. The rattling trailer was overloaded with bales of dry brittle hay, balanced precariously. 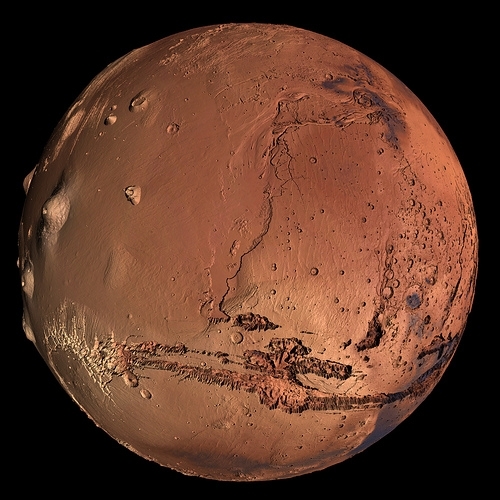 200,000 people want to go one-way to Mars: Worst. Idea. Ever. There’s a team of crazy Dutchmen planning to establish a permanent human settlement on Mars in 10 years’ time. They asked for volunteers for a one-way trip to the red planet, and more than 200,000 people put their hands up. Two-hundred thousand! I was not one of them. You couldn’t pay me enough to do something like that. It’s not that I couldn’t handle the trip there. I’ve done long trips before. Sure, Mars is 210 days away – a bit longer than 24 hours flying to Europe – but I’d soon settle into the trip, read a book, write a blog post or two. I could maybe even handle being away from my family. Of course I’d prefer it if Bill and Baby G happened to be on the same trip to Mars as me, but I understand how people put family ties aside for the common good of space exploration. The problem I have with it is the type of people that will be chosen to go to Mars with me. And how I’d be stuck with them… forever. You see, the crazy Dutchmen plan to fund these missions via a reality TV show here on Earth. A kind of Big Brother on Mars. Except there are no eliminations. No chance to get out of it. Ever. No chance, I guess, until the ratings drop and they stop broadcasting the reality show. Which in turn stops the funding and… oh wait… were you guys on Mars expecting another shipment of food next month? Sorry, the masses have spoken. We’re now sending a bunch of chefs to the moon for a low-gravity version of My Kitchen Rules. #MKRmoon. So the funding has been cut, there is a sincere apology from the Dutchmen and I’m left on Mars, with a bunch of people who were chosen for no other reason than they look good in the shower. You’ve all read what happened in Lord of the Flies. And they had a whole island to share, not a tiny space pod on a -55 degree planet with no oxygen. Oh, and did I mention in that situation they were harmless children? To me it seems like a massive investment to send a bunch of loonies all that way for a reality TV show that will last one, maybe two, seasons tops. There’s a much easier solution: simply go to the barren national park where they filmed the 1969 moon landing, apply a red film filter, and set the whole TV show there. Oh wait, am I one of *those* people?? I made an exciting discovery today. No, it wasn’t a forgotten $20 note in my back pocket. And no, I didn’t finally master the make-at-home Adriano Zumbo’s salted caramel macarons. In fact, Bill recently banned me from baking for a while. 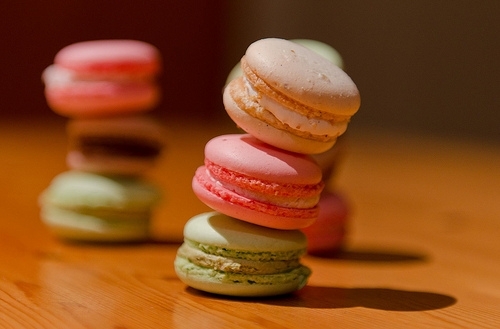 It only ever ends with me in tears and Bill having to choke down flat crumbling macaron shells just to cheer me up. Now, back to my exciting discovery. It was about divorce rates in Australia. And to be more specific: that the divorce rate in Australia is dropping. According to the Australian Bureau of Statistics, between 2002 and 2012, the crude divorce rate dropped 19% from 2.7 to 2.2 divorces per 1000 residents. This was during a time when the crude marriage rate stayed the same at 5.4 marriages per 1000 residents. In summary, the same number of people are getting married but fewer are getting divorced. Almost one-fifth of people who would have divorced in 2002, are today choosing to stay married. We all know about the emotional and financial mess caused by divorces. We all know someone who has been divorced and it ain’t pretty. We’ve seen reported for years that divorce rates are escalating out of control. But in the last 10 years there has been a noticeable change. However, it’s not opinions to divorce that’s affecting the rates. It’s marriage itself. What we are seeing is a generational shift in marriage expectations. To those born in the 1920-1940s (and earlier), marriage was pretty much inevitable. Society expected that you would marry young and stay with that person for the rest of your life. In fact, the number of registered marriages peaked in 1942 with 12 in every 1000 residents being married that year. To those born in the 1950s-1970s, marriage was also pretty much inevitable. Society expected that you would marry young, but divorce became more widely accepted. The big shift occured from 1975 when the Family Law Act was introduced, allowing couples to divorce if they were separated for at least 1 year. To those born in the 1980s and later, marriage is no longer the inevitable pathway for someone wanting to move out of home. Society no longer expects you to marry young. Couples live for many years in defacto relationships, getting to know each other before deciding if marriage is really for them. People wait until they are older to tie the knot. And because of that, more people stay married. Here’s the thing. I’m sure you can think of a married couple from the 1920-1940s who probably weren’t meant to be together but stayed together because that’s what society expected. Grumpy old Beryl and Frank up the road who hate each other’s guts? And I bet you can also think of a divorced couple from the 1950-1070s who married young because that’s what their parents wanted them to do, only to find out a few years later that it really wasn’t a good match. Then, think of someone from the 1980s and later. Were they in a serious relationship in their late teens but decided not to break it off because it wasn’t working? If that person grew up in an earlier time I bet they would have been married. And most likely they would now be either unhappy or divorced. So, where I can’t guarantee that I’ll ever master a salted caramel macaron, my bet is that divorce rates will continue to decline. And I’m sure Bill is thrilled there’s many years of flat crumbly macarons to come. Might I add, this was all before Japanese cuisine became trendy. Especially in my part of the world in regional Australia. In fact, it was the only Japanese restaurant I knew. In my blue kimono uniform and slip on shoes I tried (unsuccessfully) to channel my inner Japanese. You see, I’m 6 foot tall and blonde: not quite the classic Japanese look. But I worked hard, respected the owners, and only ever once dropped a tray of miso soup over a group’s removed shoes. And it was where I first tried the eel. 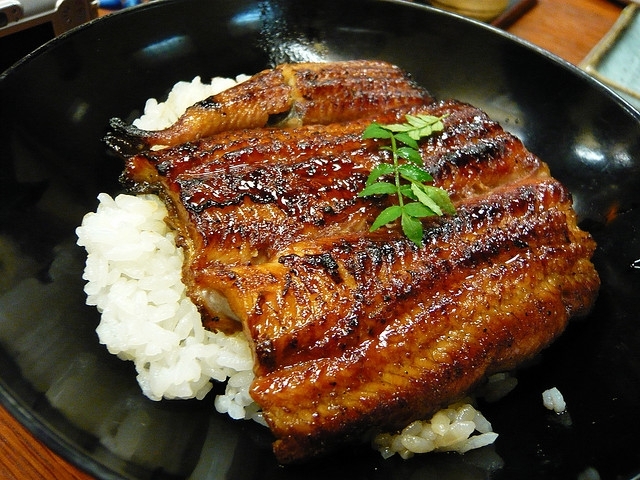 It was on the menu – unagi – and was served in a teriyaki sauce on a bed of rice. I only got to try it because it was returned to the kitchen one night via a waitress complaining that ‘table 7 says they ordered the veal, not the eel’ and I couldn’t see it go to waste. Especially on my limited income where meals were sometimes optional (and always second-place to vodka and garage sale bargains). A few years later, I met Bill. And a few years after that we went to Japan for a holiday. During this holiday I had both the worst eel and the best eel I have ever tasted. When reading the Lonely Planet guidebook, I came across a restaurant that specialised in eel. That’s right! Specialised in the stuff. I highlighted the restaurant in the book and we pretty much planned our trip around getting me to that eel. Hindsight is a marvelous thing. In an earlier blog post More money, more problems: why I don’t want to win the lottery, I discuss happiness and how it relates to expectations. Well, in Japan as we traveled closer and closer to this restaurant, my expectations lifted through the roof of the shinkansen and into outer space. It was unlikely that reality was ever going to meet those expectations. Unsurprisingly, it was a major let down. The restaurant was old, empty and, due to the fish-tanks of eels glaring at me while I ate, it was also a little creepy. The restaurant owners glared just as much as the eels and the food itself was terrible. And expensive! I don’t know how much it costs to buy wholesale eel, but I suspect there was quite a bit of mark-up added to these beedy-eyed creatures. Back home, eels are nothing more than creek-dwelling water snakes that lurk under rocks. In fact, one time while camping with some friends and driven by my taste for eel we tried to catch some in a pillowcase full of rancid meat… but that’s a story for another time. So I was disappointed with the eel restaurant. Such is life. Then, on the same Japan trip, but in a completely different city – Kanazawa this time – we stumbled across a food cart selling eel on rice. Bill and I, hungover and struggling to walk following a random night drinking with two English guys and their Japanese girlfriends, had collapsed on a park bench outside the not-to-be-missed city gardens. And there was the food cart. My savior. It was as if it had been sent from above. Eel. Just as I remembered it from my waitressing days. Light in texture, subtle in flavour. Melt in your mouth and groan with pleasure eel. Zero expectations and outstanding reality. Perfection. What’s the moral to this story, you ask? Maybe something about stumbling across a food cart beats any review a guidebook could give you…? I’m clutching at straws here.